Looking to get the kids out of the house for a little bit this summer? Maybe they are looking for more than the neighborhood pool daily? 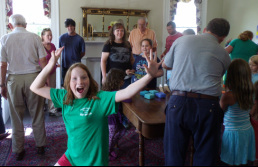 Below are three of Milledgeville’s amazing summer camp programs (2015 dates for 2016 please visit our blog post here). And if you can share of another great experience for the kiddos this summer, please leave a reply below. What: Licensed teachers, recent graduates, community professionals and Georgia College education students come together to put on a fun, educational camp! Whether you want to attend all 10 weeks, a couple weeks, or just one week, Kid’s University is set up for kids Kindergarten-7th grade and offers educational programs, as well as outdoor and indoor activities. It even gives kids the option to swim in the Georgia College recreational pool! 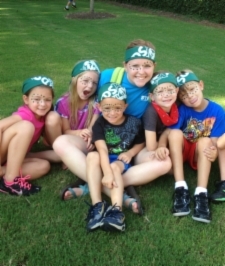 Each camper will be with other campers their own age, so they’ll feel more comfortable in their environment! The prices range by activity, but the experience will be one that the kids will never forget! What: Do you have a little artist on your hands? These classes are for you! Each class costs $78.00, but all materials are provided and your child gets to keep each of the pieces they create! Is your child into painting, print-making and re-cycling everyday things into masterpieces? Then Ms. Dana’s first class about color and texture is your class! Her second class is more of an introduction class, to spark inspiration in the imagination! If either of these classes sounds like something your child would like to do, check out the Milledgeville-Baldwin Country Allied Arts! The Milledgeville-Baldwin County Allied Arts offers a variety of art classes, theater classes and cooking classes throughout the summer. Check their website below to see a complete list of offerings as well as contact information and pricing! What: Do you have a mini Mozart on your hands? These camps are for you! 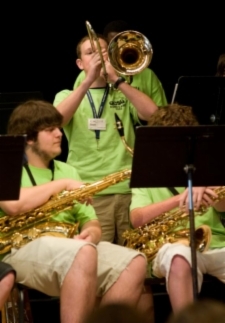 Every summer, Georgia College offers a 4 day sleepaway camp that involves staying in one of their residential halls and taking classes with a few of the best musicians the school has to offer. Not really into spend the night camps? No worries. They offer a discounted rate for “commuter musicians.” While this camp is limited to rising 7th-12th graders, it’s a great experience to get to know Georgia College’s music program better, as well as college life in general. The deadline for the camp’s deposit, May 29th, is quickly approaching so get your applications in quickly! For pricing, contact information and a more through description of what happens during the week of camp visit the website below.